Got up at 5am and drove to Blendon Woods Metro Park to shoot some photos. 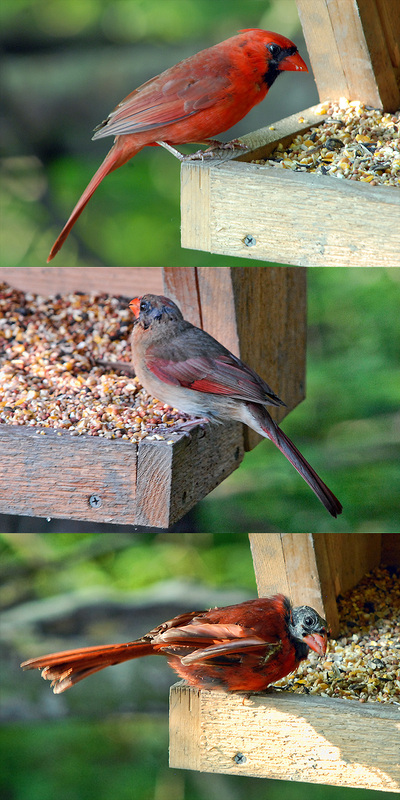 Best action was at a bird feeder near one of the blinds. 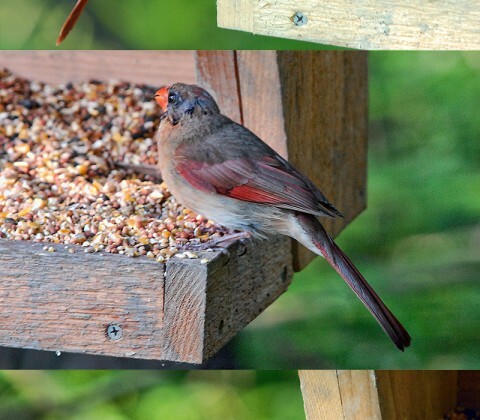 These are male and female Northern Cardinals. The bottom one is a male going through the molting process. Talk about a bad hair day!